Exhibit pairs artwork with floral arrangements. 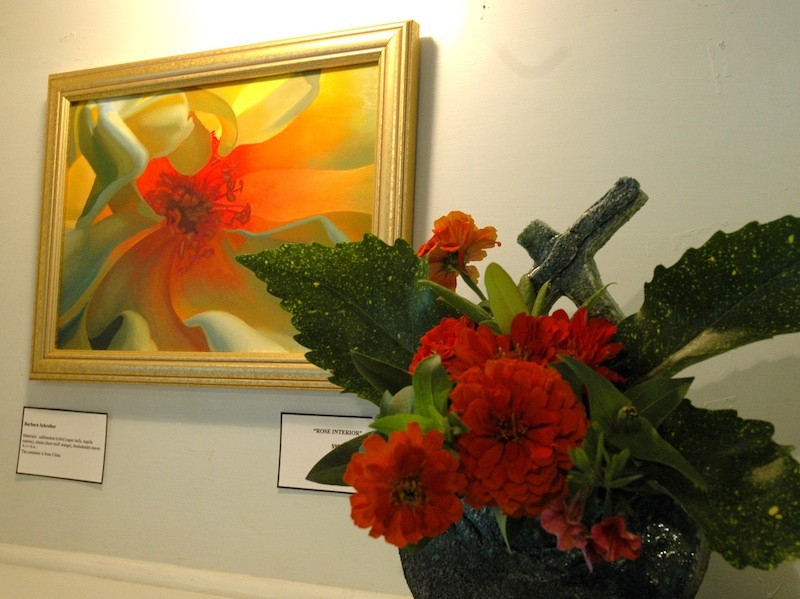 The Martha’s Vineyard Garden Club will present Blooming Art 2015, an exhibit pairing art and flowers. The Old Mill in West Tisbury will become a gallery featuring work from 34 Vineyard artists accompanied by interpretive floral arrangements created by members of the garden club. Blooming Art is modeled on the Museum of Fine Art in Boston’s annual Art in Bloom event. The event opens with a gala from 5 to 8 p.m. on Friday, June 26. There will be hors d’oeuvres provided by Jan Buhrman and drinks provided by Our Market and Jim’s Package store. Tickets are $50 and available at 508-696-1011. The exhibit continues Saturday, June 27 from 10 a.m. to 5 p.m. and Sunday, June 28 from noon to 3 p.m. There will be a $5 admission fee. The artwork will also be for sale throughout the event. Proceeds from tickets and art sales benefit the club’s annual horticulture scholarship for a graduating senior and preservation of the Old Mill. Visit marthasvineyardgardenclub.org for more information.